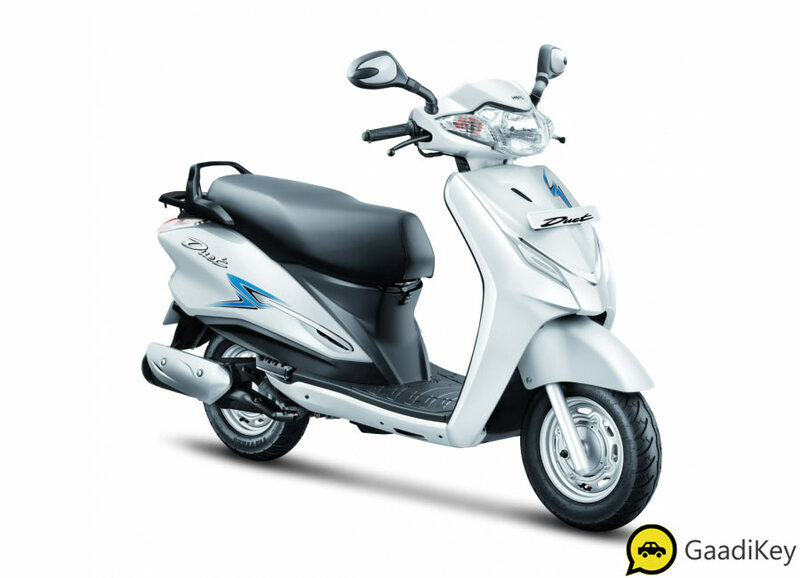 The all new 2019 model Hero Duet scooter is here. 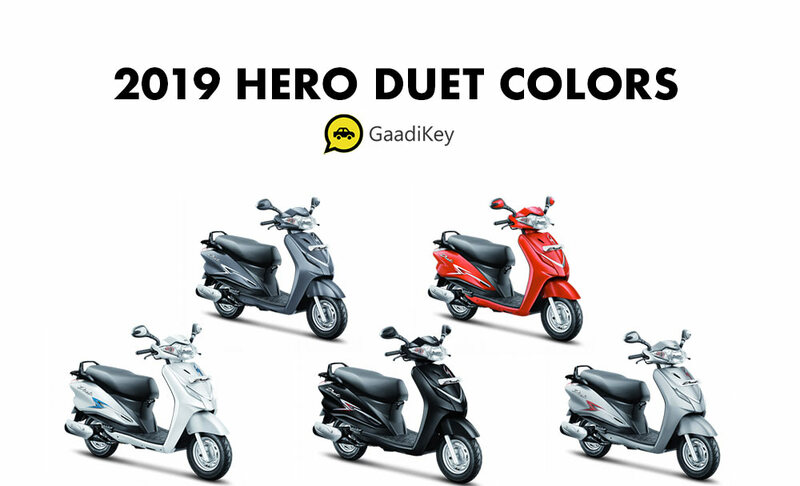 The New 2019 Hero Duet is launched in 5 different color options which are listed along with photos in this article. 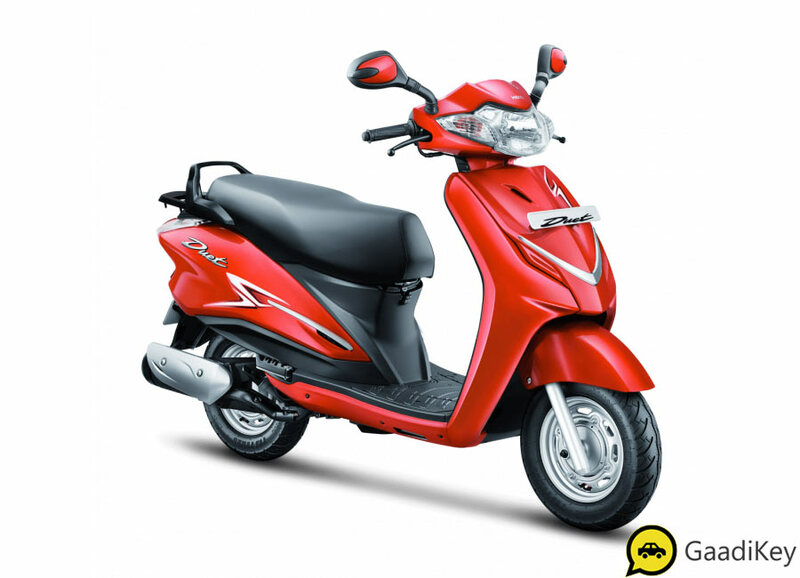 The 2019 Hero Duet is based on a new platform and gets a full metal body. The Duet is powered by the same engine which is offered in the new Hero Maestro Edge, which is a 110cc, air-cooled, 4-stroke, single-cylinder engine which churns out 8.4PS of power at 8000rpm, while peak torque of 8.3Nm is delivered at 6500rpm. The 130mm drum brakes present in new 2019 Hero Duet gets Integrated Braking System. 2019 Duet additionally gets an external fuel cap and features an under seat bulb along with a USB 3.0 port for charging. The price of 2019 new model Hero Duet starts at Rs.47,750 (Ex-Showroom, Delhi) and the top end variant Hero Duet VX model year 2019 is priced at Rs. 49,900 (Ex-Showroom, Delhi). Which 2019 model Hero Duet color option would you choose? Let us know by commenting below.